Park Shin Hye International Fanclub | 박신혜 국제 팬클럽: Donate storybooks to Nepalese children with Shin Hye! Donate storybooks to Nepalese children with Shin Hye! In the winter of 2009, Shin Hye volunteered in Tapatali in Nepal with non-profit organization Korea Food for the Hungry International (KFHI). The trip changed her life. The children in this small village that she is visiting are about to start going to school but school supplies are lacking. Shin Hye donated pencils, notebooks and etc that her fans prepared personally. There’s a 12 year old boy in this village that takes the role as the head of the family, taking care of his young brother and mother. He also goes out begging in order not to go hungry. When Shin Hye visited this boy’s home, she learned about his wish to build a wall to protect his family from strong wind. Shinhye started working with crew members to start building this wall. She also witnessed children breaking stones with hammers in their hand for a living. To these children, Christmas has nothing to do with them. Shin Hye dressed up in a Santa Claus costume to decorate the kids´ very first Christmas tree together, giving them a special memory of Christmas gift. Shin Hye continued her heartwarming labor by visiting a quarry to help out the children who worked day and night to shatter the boulders with hammers as their only source of money. 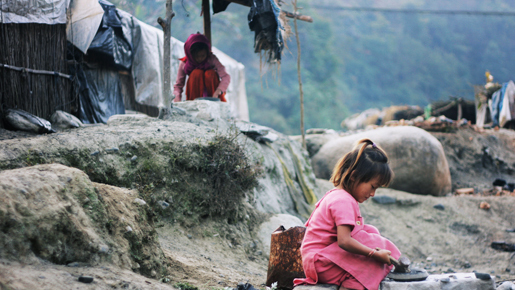 It has been two years, but the children of the Himalayan valley of Nepal have never left Shin Hye's mind. "When I first decided to volunteer in Nepal, I aimed at fulfilling my work to give warmth and love to the people there. I just wanted to do a good job. 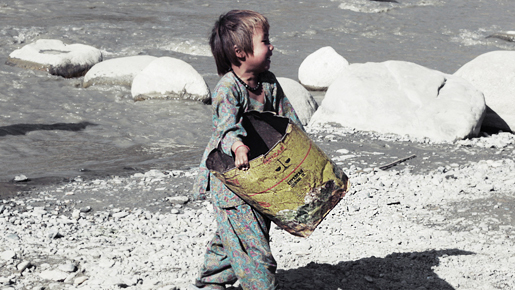 But since my return to Korea, the grim image of the Nepalese children holding hammers has never left my mind." she says. "Children should be in school. They should be holding pencils and books in their hands learning reading and writing. Why are they holding hammers instead? Small children working in dangerous stone quarries mining stones to make a living - just the thought of it, is so wrong and heartbreaking." "I want to make a change," To the Nepalese children whom Shin Hye feels indebted to, Shin Hye feels the need to put them on the path of education. Therefore, she is thinking of donating storybooks to the children with KFHI. "Ladies and gentleman, I sincerely ask you to join me in this project." By logging into DAUM and donating to the campaign, netizens worldwide can join Shin Hye in this meaningful project to bring education to children in Nepal. Step 5) Verify and Pay. I want to donate but I don't have citibank. So sad. I really really really really really want to help. Awwwwww our lovely shin hye. love her so much!!! Such a beautiful heart she has. Sniff sniff so sad seeing these little children working so hard for a kernel of corn. Sooooo sad. 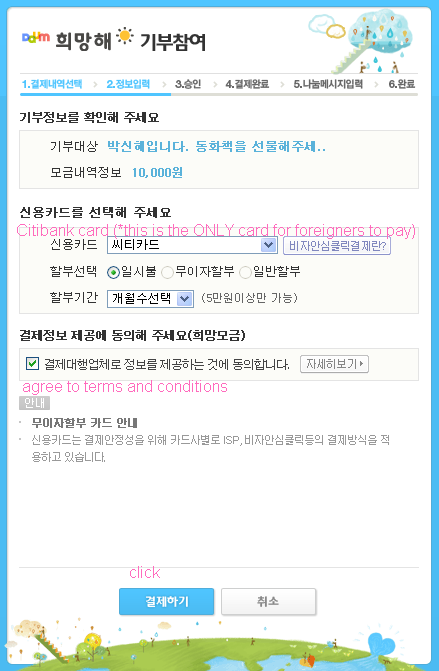 any other ways to donate other than using citibank card? This is nice know... ^___^ at least a lot of people still cares. Shin Hye for president! ehehe just kidding!